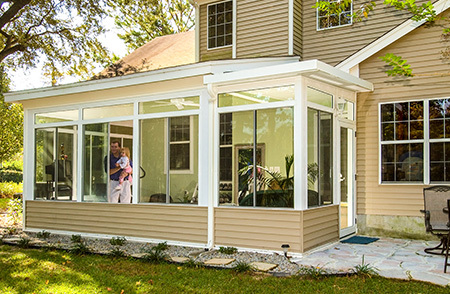 Having one of SRA Home Products’ state-of-the-art sunroom additions installed at your West Chester, Pennsylvania, home could provide your family with much-needed living space that they will be sure to enjoy. Have you ever wanted to watch television but hesitated to turn up the volume because your spouse was reading in the same room? Or have you ever wished you had more space for your kids because your son wanted to play with his toys while your daughter was also on the phone in that room? 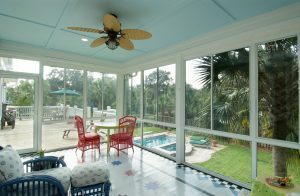 You can further customize our sunroom additions with angled walls and custom ceiling heights, and you can even design a multi-level addition, if you so desire. So, whether you’re looking to add on a small playroom where your children can keep their toys and games, or a larger space where you can entertain your dinner guests, having one of our sunroom additions installed is the perfect way to attach additional living space to your West Chester, PA, home. If you would be interested in seeing how much extra space one of our sunroom additions could add to your West Chester, PA, home, please contact SRA Home Products today for more information. 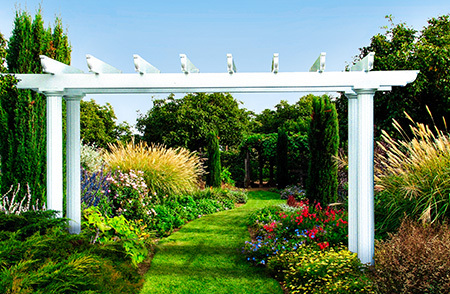 We’ve installed more than 5,500 projects in this area since being founded in 1988, and we look forward to completing our next installation at your home.